You asked, we responded! 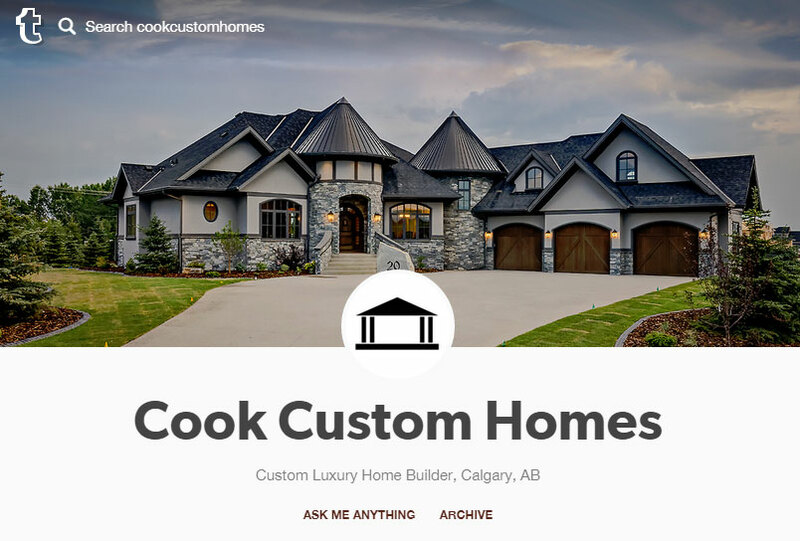 Cook Custom Homes, a premier luxury home builder in Calgary, AB, has joined the ranks of Instagram and Tumblr to help bring our custom builder news and photos to users that prefer those social media platforms. While we’re there, we’ll be following other Calgary businesses and trend-setters ourselves, because there’s a lot to see and do in Calgary, and certainly lots to and ! Instagram and Tumblr adds to our social media presence already found on Facebook, on Twitter, on Google+ and on Pinterest. See you there! New Show Home Hours, The Arden is now open!